Recently I acquired this very rare and unusual poster designed by Milton Glaser. 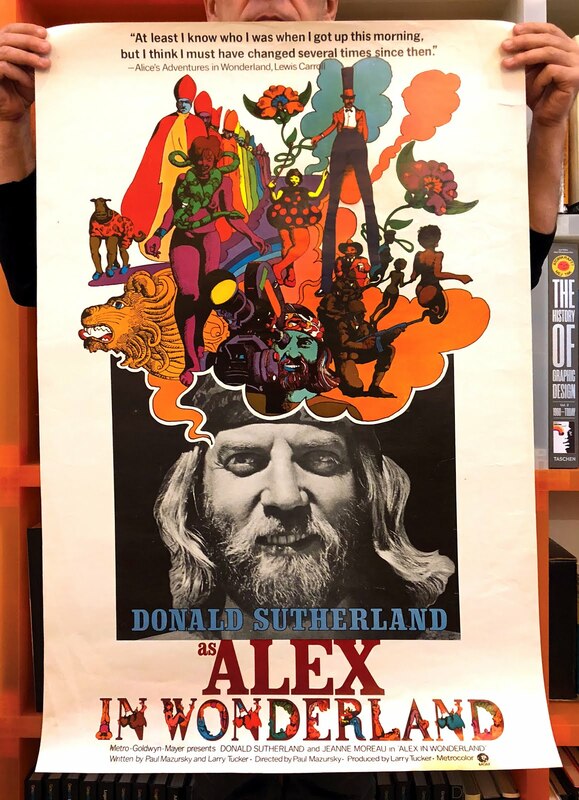 The poster is from the 1970's movie Alex in Wonderland directed by Paul Mazursky starring Donald Sutherland. Plot: Young director Alex Morrison (Donald Sutherland) feels compelled to follow his recent box-office hit with another blockbuster. While mulling over this dilemma, the director's mind wanders to his past, his present, and probable future.